Paul Cheng has been devoted to the violin and viola for over thirty five years and is known for being a performer, instructor and luthier in the Ann Arbor area. As an instructor, Paul has taught private violin and viola lessons for over 23 years. He currently maintains a home studio teaching violin and viola students of all ages and levels. These include very young beginners, middle and high school orchestra students, adult enthusiasts, and aspiring jazz fiddlers. Special interests involve helping middle and high school students become better orchestral players. 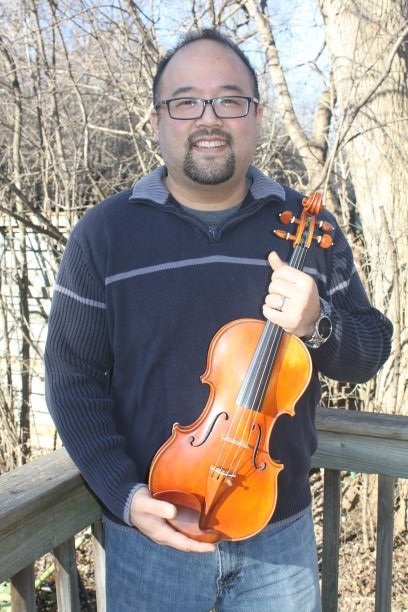 A native of Canada, Paul is a graduate with distinction of the Royal Conservatory of Music and holds a certificate (ARCT) in violin performance. As a performer, Paul has had past orchestral performances with regional symphony orchestras including the Ann Arbor Symphony Orchestra, The Lansing Symphony Orchestra, the Saginaw Bay Symphony Orchestra, the Kalamazoo Symphony Orchestra, the Adrian Symphony Orchestra, the Dearborn Symphony Orchestra, The Michigan Philharmonic Orchestra, The Toledo Ballet Theater Orchestra, and the SOTL Festival Orchestra. In addition to classical performance, Paul is an active swing jazz violinist. As the featured violinist for the Joe Summers Gypsy Jazz Trio since 2008 he has played in numerous venues in Detroit and Ann Arbor such as Cliff Bells, The Jolly Pumpkin, and the Crazy Wisdom Tea Room. Paul is currently employed by Shar Products Company as a repair and restoration-focused luthier. His duties involve instrument repair and restoration, instrument set-up, tonal adjustments, and bow re-hair. He is a regular participant at the prestigious VSA Oberlin Restoration Workshop. Paul shares a teaching studio in Ann Arbor, Michigan with his wife Elizabeth Cheng, who is a Certified Suzuki violin and cello Instructor. Together they have four children: Emily, Nathan, Lucille and Sophie, all of whom are learning violin, cello, piano, and trombone.